Last year, newcomers to the Cass Corridor could be heard inside residential buildings along Forest Avenue near Wayne State University shouting, "Happy Dally!" That chant has become an ode to one of Detroit's most unique and enjoyable annual festivals. 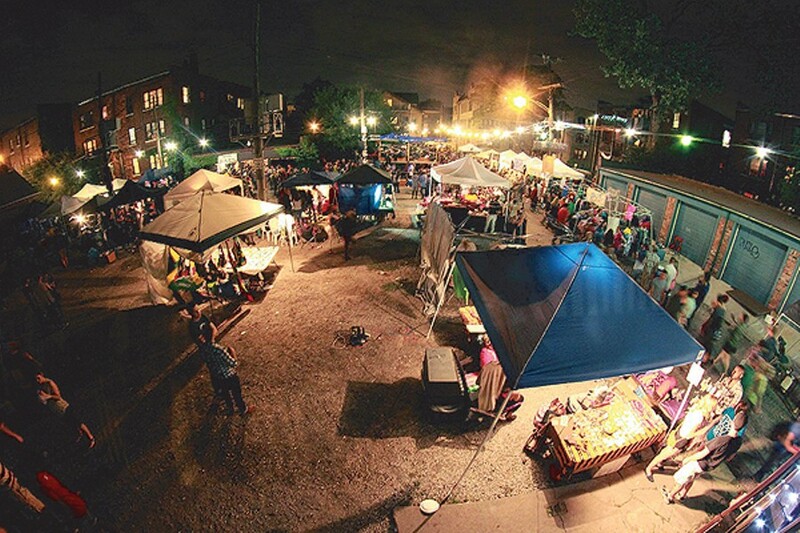 Now in its 37th year, Dally in the Alley has grown into an event that attracts tens of thousands of attendees to a small section of the Corridor, bounded by Hancock, Forest, Second and Third avenues. The diverse and eclectic crowd matches the vast offering of vendors selling art and food, along with a vast stable of Detroit musicians and DJs performing throughout the day. And even though some attendees may not realize it, Dally's sponsor, the do-gooders at the North Cass Community Union, has used proceeds from the event in the past to fund notable causes for the neighborhood, including: maintaining the garden park at 4753 Second Avenue, providing funds and volunteers to the Fourth Street Farm, and paid for snow plows to clear alleys of the corridor. Steve St. Germain, Dally spokesman, says this year's iteration will feature food from Slows-to-Go, Jacques' Tacos, and more local vendors, with more than 140 expected to participate. And, this year, St. Germain says NCCU received over 300 submissions for music acts, double the amount of 2012 submissions. Dally will feature "a very special lineup this year, with so many of the artists [being] first time Dally acts," St. Germain says. "We've kept with the tradition of an eclectic, diverse lineup featuring both established and up-and-comers," he says. "The beauty of the lineup by its nature is that nobody should be able to recognize every band that is playing." The Dally in the Alley festival celebrates its 37th anniversary on Saturday, Sept. 6. Held in Detroit's storied Cass Corridor, the annual event attracts tens of thousands of attendees throughout the day to the live music, DJs, art, vendors, food, reunions with old friends and the making new friends. The festival-goers, a colorful and diverse cross-section of Detroiters, experience a unique party that has become one of the most-loved festivals in Detroit. Rain date is Sunday, Sept. 7.